Paris in September: what’s on now that the locals are back in town? Summer is still lingering in Paris in September but the leaves will all too soon be changing colour and beginning to fall as autumn approaches. The sleepy summer city has a new energy as the kids are heading back to school and the adults back to work. In other words, it’s la rentrée! Visiting Paris in September is ideal as the peak tourist season is winding-down: this means it’s a great time to find low hotel and air fares. Not to mention the weather in Paris in September is divine, not quite as hot as summer but the sun is still shining. And for all you parents out there here’s 25 essential items for la rentrée scolaire. Shops and businesses are reopening after the break and it’s the perfect time of year to take a cruise on the Seine River as the skies are clearer and it’s not too chilly yet. 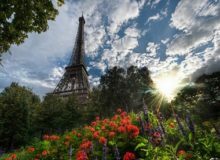 So enjoy the good weather while it lasts and check out some of these great things to do in Paris in September. Paris in September invites you to celebrate the beauty of nature with The Paris Garden Festival. 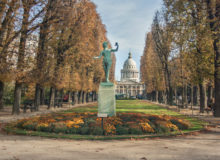 Discover the green spaces of Paris by exploring the city’s parks and gardens. Over one weekend 150 places will be open to the public, each holding special events to raise awareness to the public about environmental and ecological issues. Guided tours, gardening workshops, concerts, demonstrations, walks and more will also be offered for free. There are many beautiful parks and gardens in Paris. Among the most popular for this event are: the Parc de la Villette, Jardins du Luxembourg, Jardins des Tuileries and Jardin des Plantes. 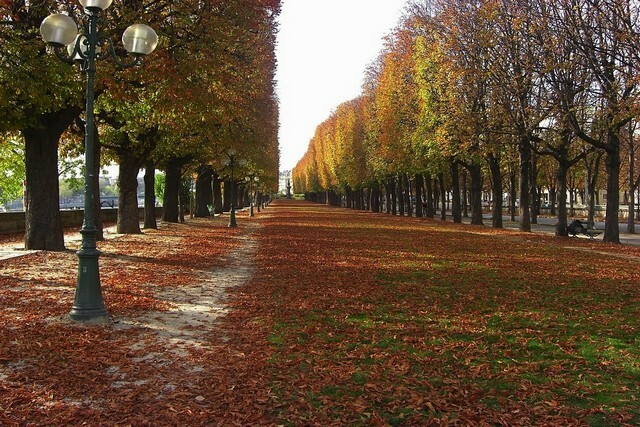 So take a walk in the park and get some fresh air in Paris this September. Where: All over Paris. See here for more information. Paris in September welcomes Brazil to the city of light. Le Lavage de la Madeleine festival celebrates Brazilian culture with a huge parade full of music and dancing. Discover Capoeira, a Brazilian martial art form combining dance, fight, rhythm, and movement. 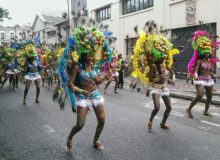 There will also be Brazilian celebrities, Samba dancers, and percussionists. 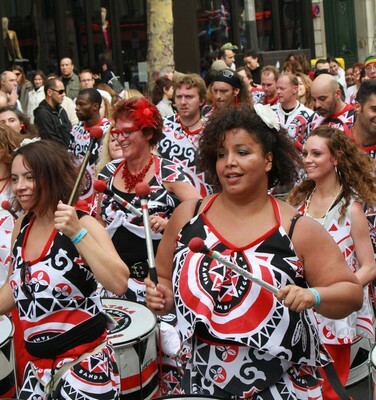 This festival will allow you to discover Brazilian traditions and culture in Paris, and don’t forget to wear white if you want to fit in with the crowd! Paris in September encourages all women to put on their running shoes, get out in the fresh autumn air, and do some exercise! 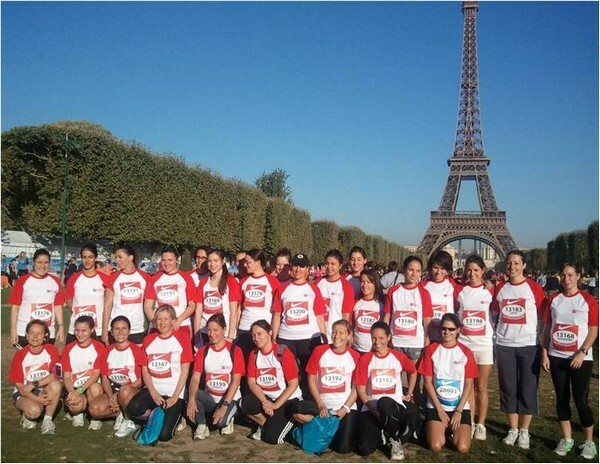 La Parisienne is a 6.7 kilometre run for women and the biggest 100% female run in all of Europe. But this is no ordinary run, dress up to celebrate ‘le carnaval’, and run, laugh, play and dance to the finish line. This run allows women to share a fun event with like-minded women while inspiring women to live happy, healthy lives. La Parisienne is open to all ages and all walks of life: the only rule is that it’s for women only, sorry men. 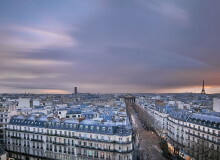 Paris in September presents the Autumn Festival, a festival of contemporary arts. 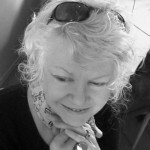 Around forty places take part in the festival hosting all kinds of art events from dancing to music, film and theatre. 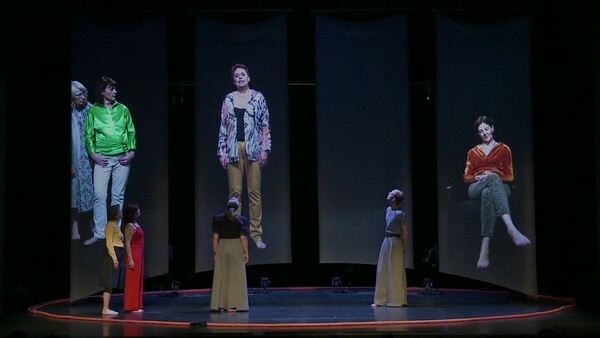 Welcoming well-known artists such as: director Krystian Lupa, composer Ramon Lazkano and choreographer Lucinda Childs, there is something to please everyone. So why not go to the theatre this September, or enjoy a dance performance? Bookings can be made here. Where: See venues on the official website. 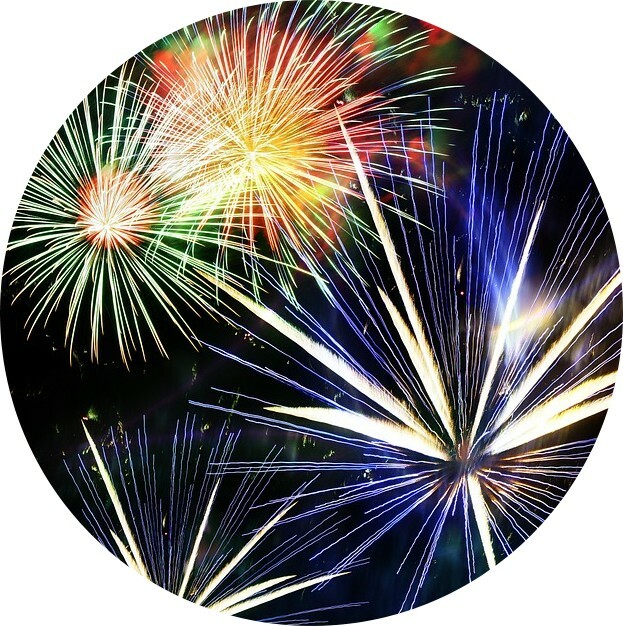 Each year Paris in September holds the largest display of fireworks in Europe. Le Grand feu de Saint-Cloud easily gathers 23 000 people together to witness this huge pyrotechnic show. The show takes place in Saint-Cloud Park and each year the show is different. Come along with a group of friends or family and bring a picnic or purchase a drink and a snack from one of the small restaurants or buvettes. You’ll need to purchase tickets for this event and can choose to either sit on the grass or in the grand stand. So get in early to get a good spot! The Street Food International Festival is on in Paris in September. 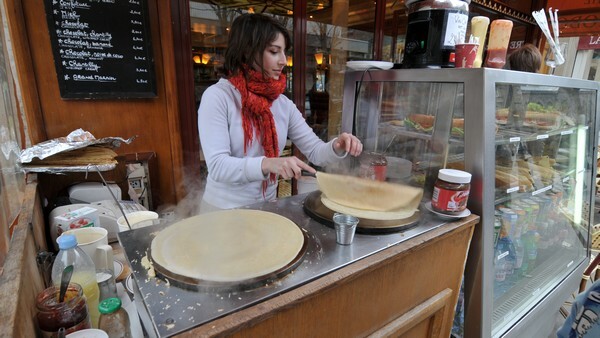 Head down to Porte de Versailles to enjoy some of the best food the streets have to offer. There will be numerous food trucks offering a wide range of products for you to try. The festival is open to the general public from 12pm until 3.30pm and visitors can vote for their favourite food truck. So head down to the festival for a great atmosphere, talented cooks, and delicious food! And don’t forget to vote for your preferred food truck as the winning truck gets a prize. 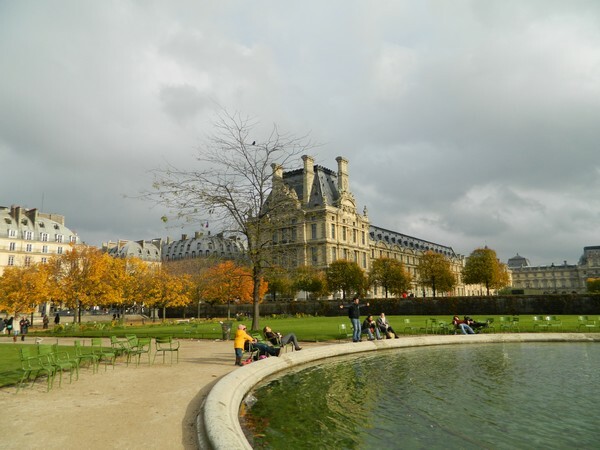 Paris in October: what's on this autumn? Paris in June – what’s on?